When we encounter a chest pain, the first thing that strikes our head is the possibility of a heart attack. This is to an extended level if you witness right side chest pain. Well, not every pain in your chest counts as a symptom for heart attack. There are many more conditions that can be induced by a right-side chest pain, and most of them are not as fatal as a heartache. 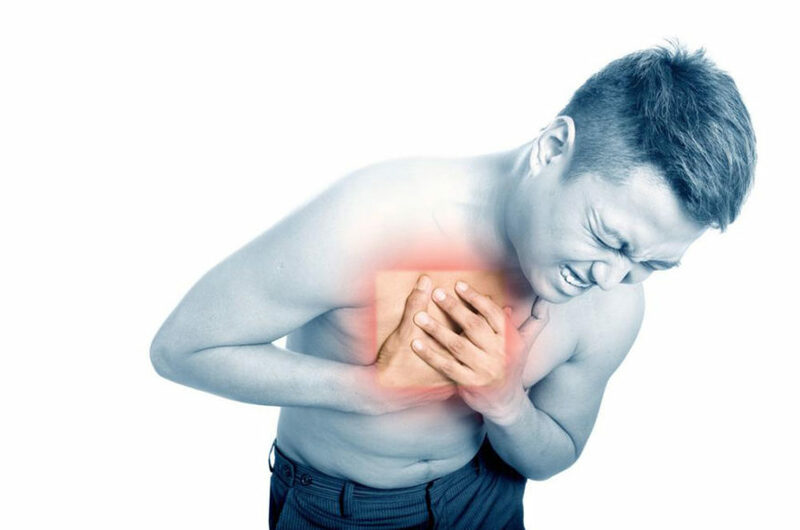 Chest pain is not something that you must ignore, even if it leads to a heart attack or not. The idea is to educate yourself about all the condition that could be associated with a chest pain. Coronary Artery Disease (CAD): A coronary artery disease is the result of a blockage in the heart vessels, thereby reducing the blood flow and oxygen to the heart muscle. The pain caused by this condition is called angina and is towards to the right side of the chest. CAD is the symptom of heart disease, but it is not known to cause permanent damage to the heart. Although it can be seen as a disclaimer that a heart attack might be a possibility in the near future. In a CAD, the chest pain can spread to the shoulder, arm, as well as the back. Pericarditis: Pericarditis is the inflammation or infection of the sac around the heart. The pain, in this case, is very similar to the pain caused by angina. Although, unlike CAD, the pain, in this instance, is sharper and can spread to the upper neck as well causing a lot of unrest to the sufferer. Lying on your back, eating, breathing and running can make this pain worse in some conditions. Hypertrophic cardiomyopathy: This condition can change the size of the heart muscle, making it thicker than usual. This can lead to issues in the blood flow from the heart in some cases. If you indulge in a tedious activity, you can encounter shortness of breath along with the chest pain. If this problem is not addressed with the urgency, it could also lead to heart failure in the future, if the heart muscle thickens further. Mitral valve pro-lapse: This is a condition where a valve in the heart fails to close properly. There are a variety of symptoms that are associated with this condition, including right side chest pain, palpitations, and dizziness. The prolapse can also be mild in some cases and cause only a slight chest pain.